Stonework: At Allen Brothers Landscaping, LLC, we are experts in hardscape design. Our experience and knowledge in creating customized hardscape designs allows us to handle any type of commercial or residential stonework project. Consult with us about your vision and we can design and deliver a beautiful, one-of-a-kind hardscape design that will delight you. Walkways: No outdoor paradise is complete without a lovely walkway to traverse the grounds. Let us design your walkway and we’ll be sure the style and look fits with the overall aesthetic of your exterior. We love the chance to help clients achieve beautiful looks with our expert hardscape design. Water features: Transport yourself to a tropical oasis with gorgeous water features. From waterfalls to ponds, you can surround yourself with tranquil water designs that will set your mind at ease and allow you to relax in your beautiful backyard. 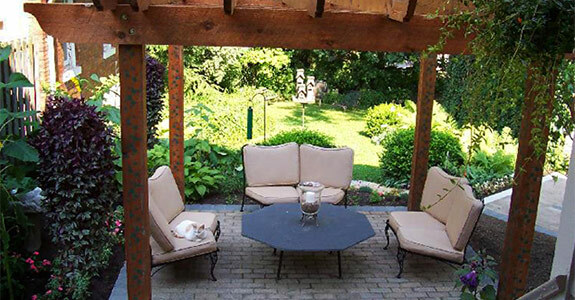 Pergolas: Framing gardens with classic pergolas adds a look of timelessness to your gardens. Let our expert designers install these items and help you achieve a gorgeous look in your great outdoors. We will personalize the style and make sure you love the way it looks. 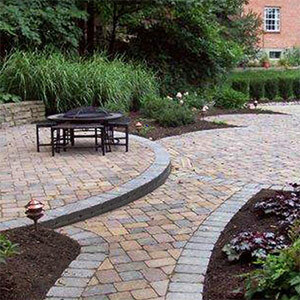 To learn more about our hardscape designs, call Allen Brothers Landscaping, LLC at 859-635-2800.